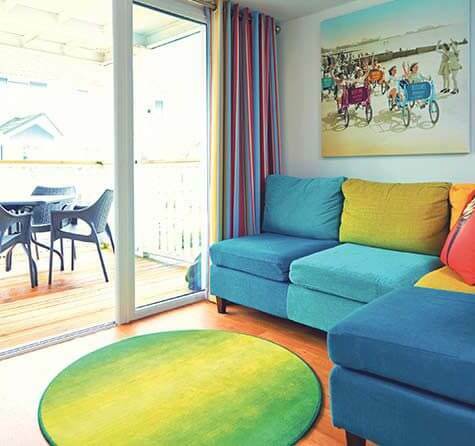 These perfectly placed Seaside Apartments will help your family get the best out of Butlin’s by the sea. We’ve transformed a number of Gold Apartments into beautiful Seaside Apartments that are set at the heart of our resort. 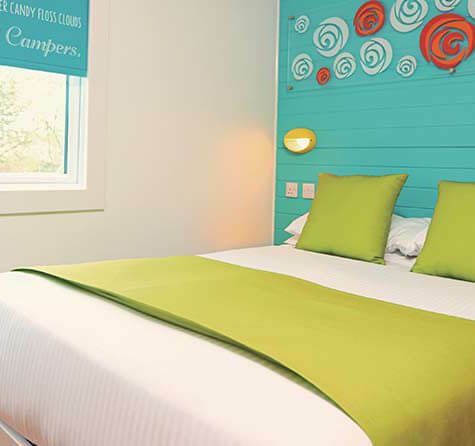 With balconies and patios available too, you’ll be able to rest and relax outdoors and get the best of a holiday beside the sea. 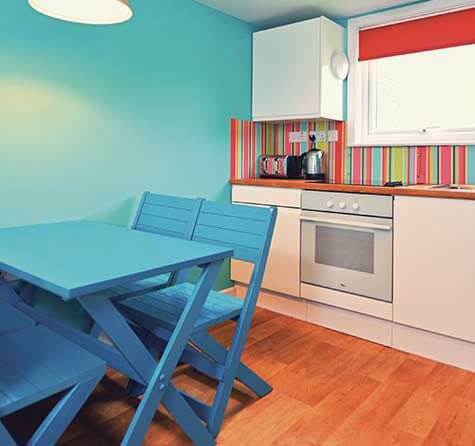 Our two and three bedroom Seaside Apartments will offer a unique experience with nostalgic seaside themed interiors and features the whole family will love. 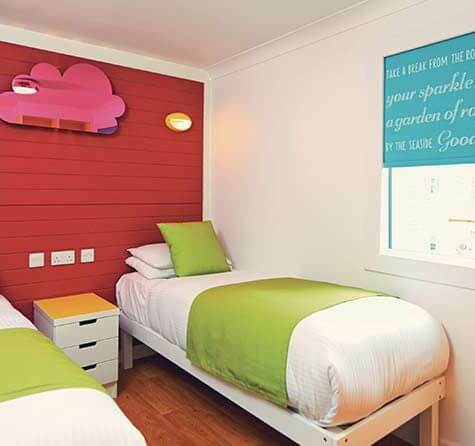 From open-plan lounges featuring L-shaped corner sofas, and kitchen and dining space, to a magnetic pin-the-tail-on-the-donkey game and a candy floss cloud night light for the children to fall asleep under, everything has been designed with family time in mind. 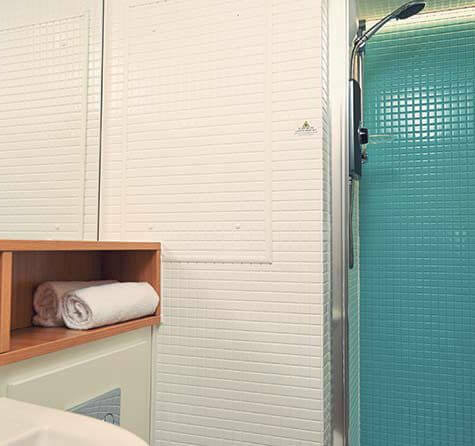 With housekeeping also included, our Seaside Apartments will help take the hard work out of your break.